This will avoid the long lines at registration. You can register for your FREE tickets on this site, Just click here or on the Free Tickets tab at the top of every page. Plan On Making A Day Of It! With numerous vendors and multiple unique fashion shows, you should plan on an exciting day! It's best to arrive early, you don't want to miss a thing! You will be doing a lot of walking, visiting all the unique and exciting Rochester wedding professionals and service providers! They can help you make decisions the day of the Bridal Show. With all of the possibilities and options you will be opened up to, you will appreciate having other opinions to consider. You will be asked numerous times for your name, mailing address, email and wedding date for numerous drawings and vendor follow-up. This will save you a lot of time. These items will help you keep your day organized as well as make note of any bookings or appointments you may set up. 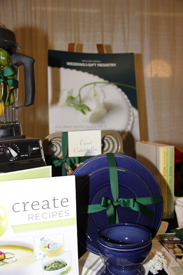 Many of our vendors encourage on the spot bookings and offer discounts as an incentive! Bridal Shows are all about asking questions and getting information. You might consider preparing a list of the top questions your are looking to have answered. You will be doing a lot of talking to vendors. You will receive special attention from vendors! This is a great idea to help you remember something that you really liked. 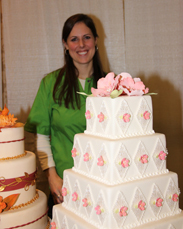 Many wedding vendors offer special "Day-Of-The-Show-Discounts" Some of the best discounts are given the day of the show! 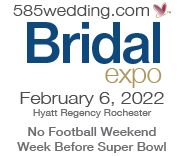 Your Free Bridal Bag is filled with literature from some of the Bridal Show vendors and from other Rochester wedding professionals not exhibiting at the show. Your Bridal Bag will contain special offers and discounts from numerous wedding professionals. 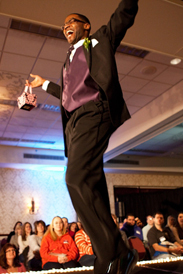 Use your Bridal Bag to gather information from vendors in the show. When you go home, sort through the huge amount of literature from well over 100 of Rochester's leading wedding professionals! Something that you may not be interested in today, you may change your mind tomorrow and would like to consider it! Register for a free email address that you can use for all your wedding planning. You will be receiving numerous email from vendors with special offers and discounts. You should check this account daily as many vendors post limited time offers. After your wedding is over you can close this account. It's all part of your special day!